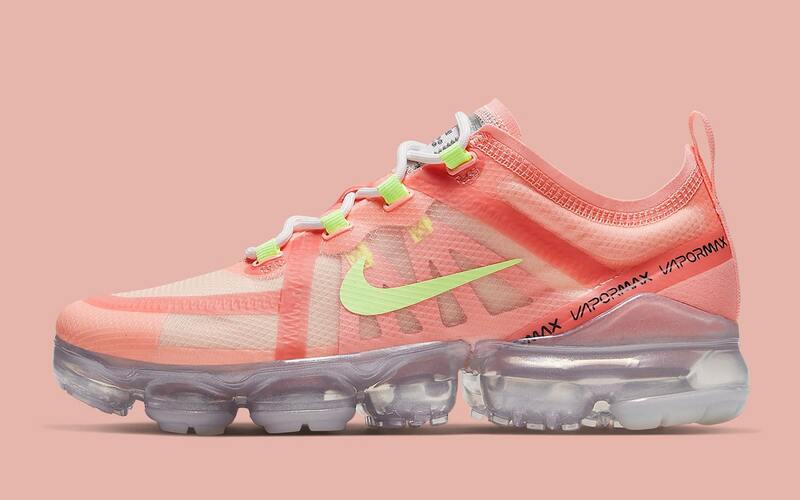 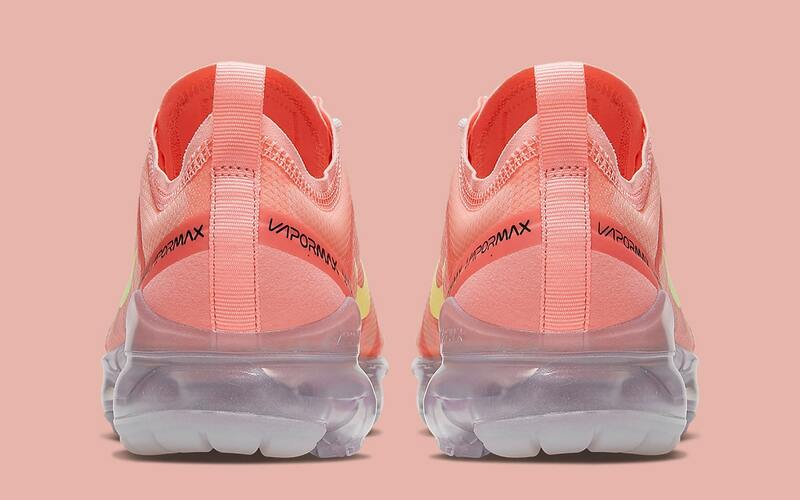 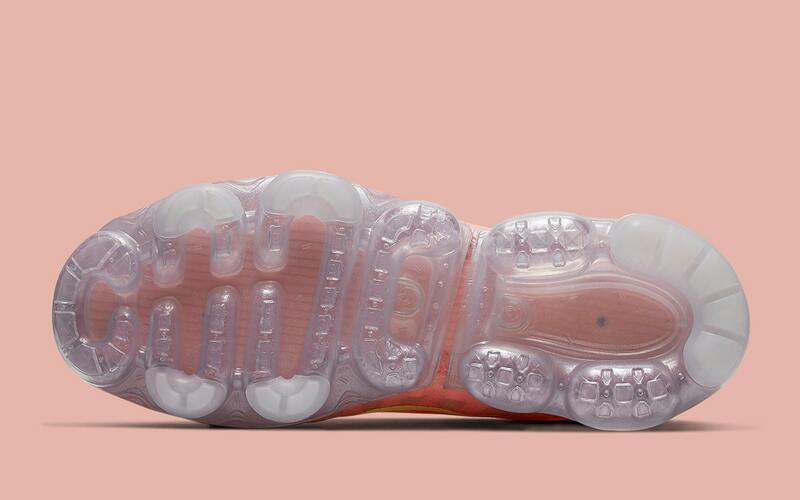 A slew of femme-friendly colorways of the VaporMax 2019 have landed on Nike.com over the past week or so, and you can now add another, with this “Pink Tint” rendition available now! 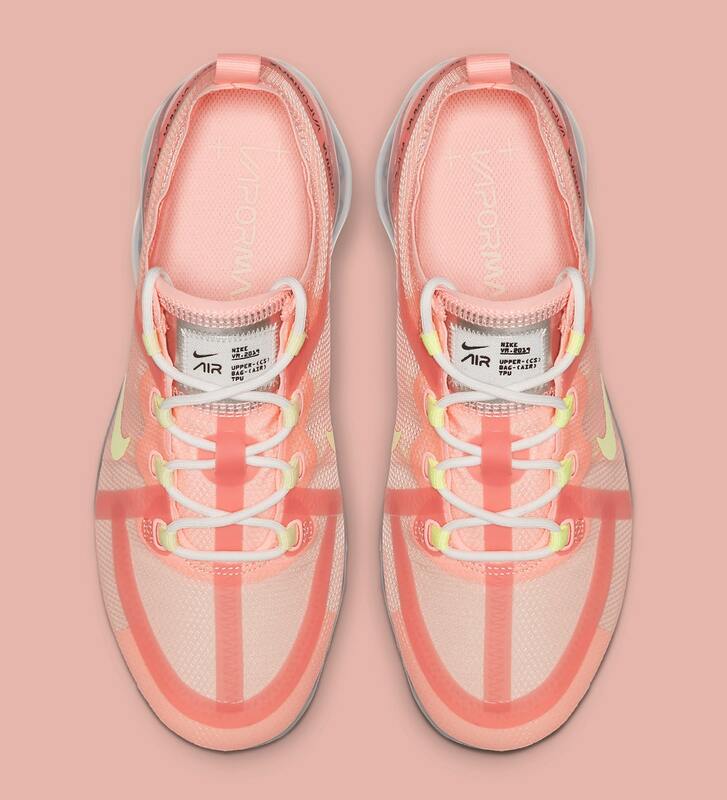 Sporting a tonal orange-pink upper overlay atop a light cream inner bootie. 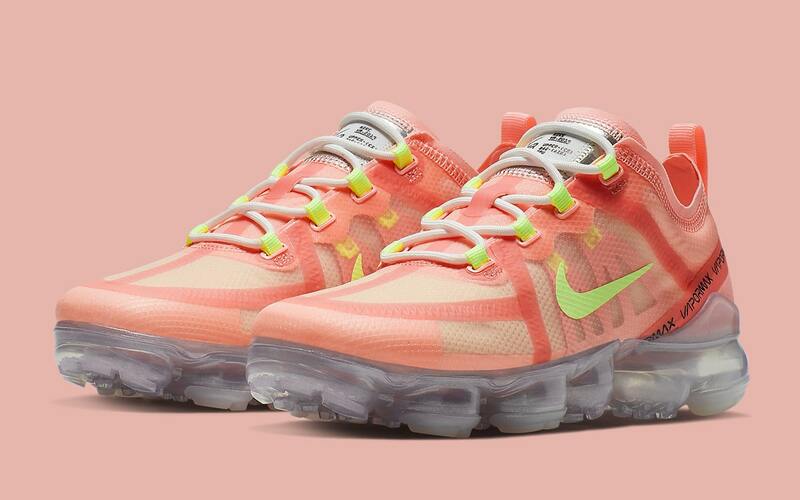 Pops of contrast arrives from vibrant Volt flashes on the branding and lace loops, with a more toned down white/grey on the laces, tongue branding, and VaporMax sole unit. 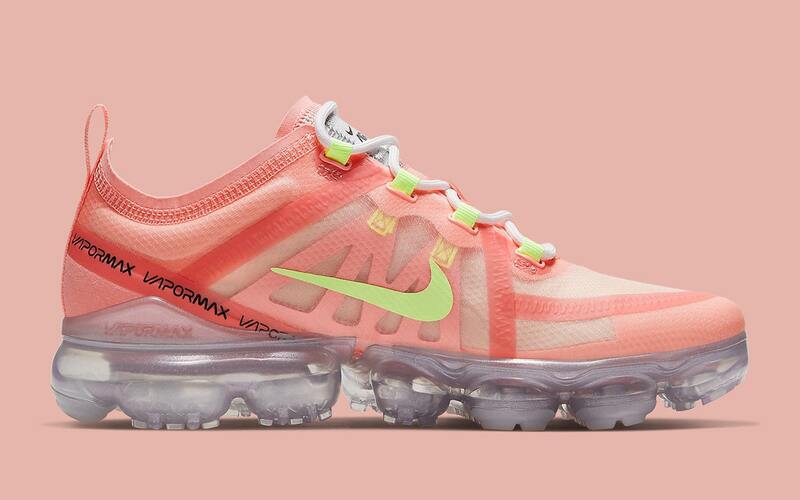 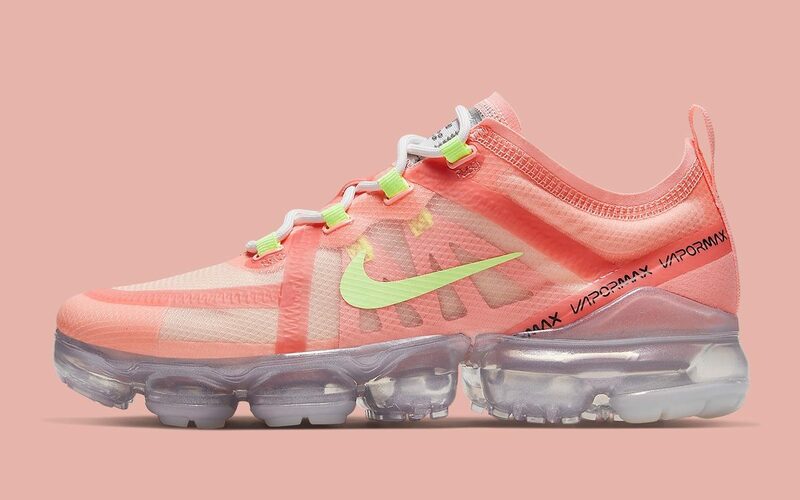 Ladies, if you’re loving the latest addition to the VaporMax family, you can pick up your pair of “Pink Tint” Nike Air VaporMax 2019s directly from Nike.com for $190.